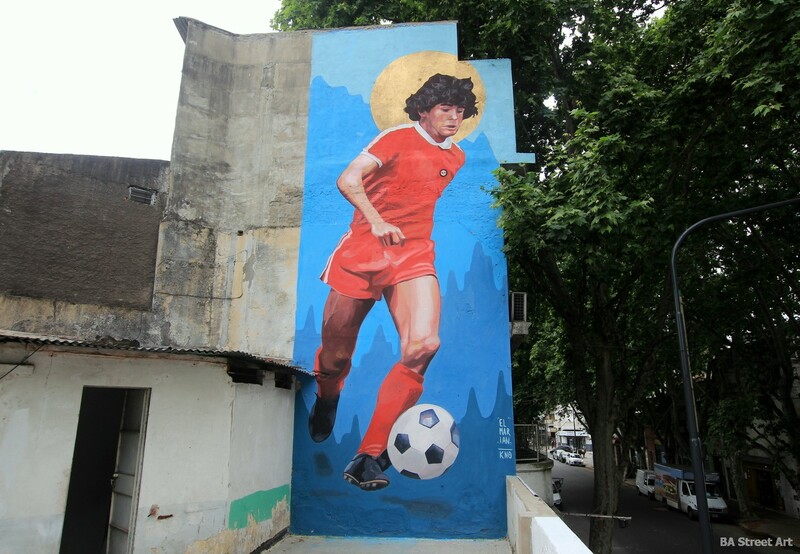 Argentine street artists El Marian and KNO have painted a new mural dedicated to Diego Maradona in La Paternal, Buenos Aires that was inaugurated today. 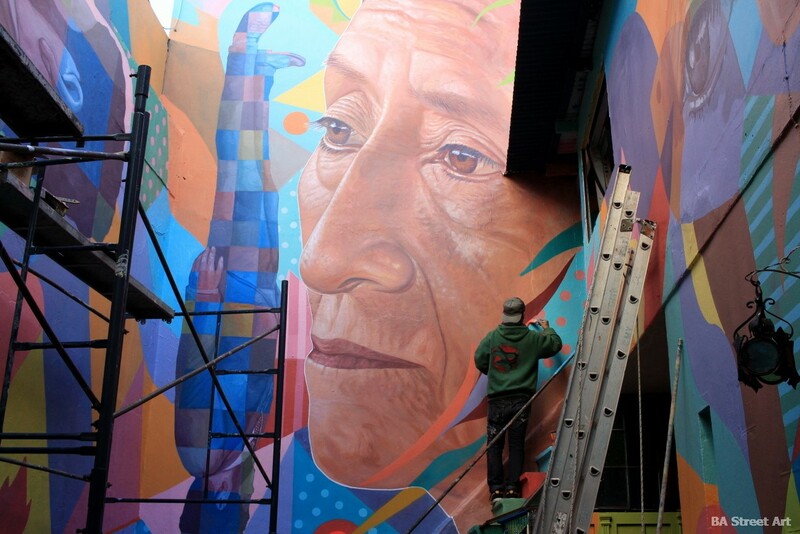 Peruvian artist Decertor was recently invited by El Quetzal to paint a series of murals at their cultural centre in Palermo, Buenos Aires. 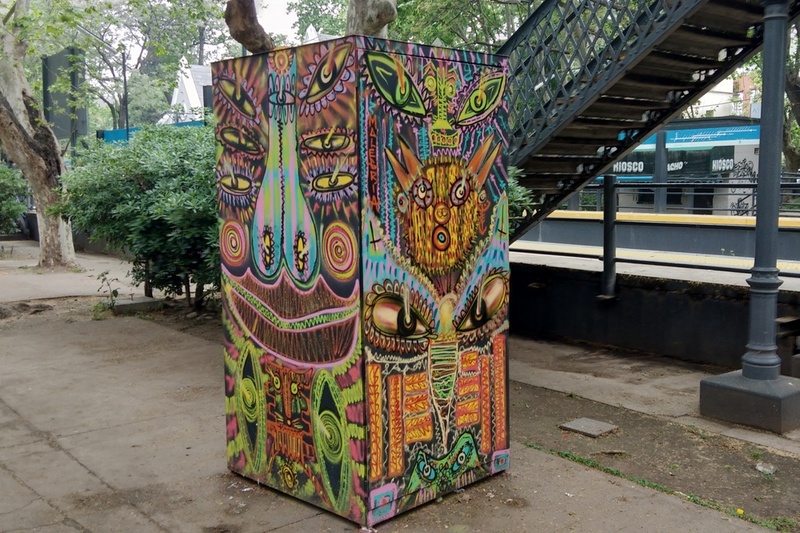 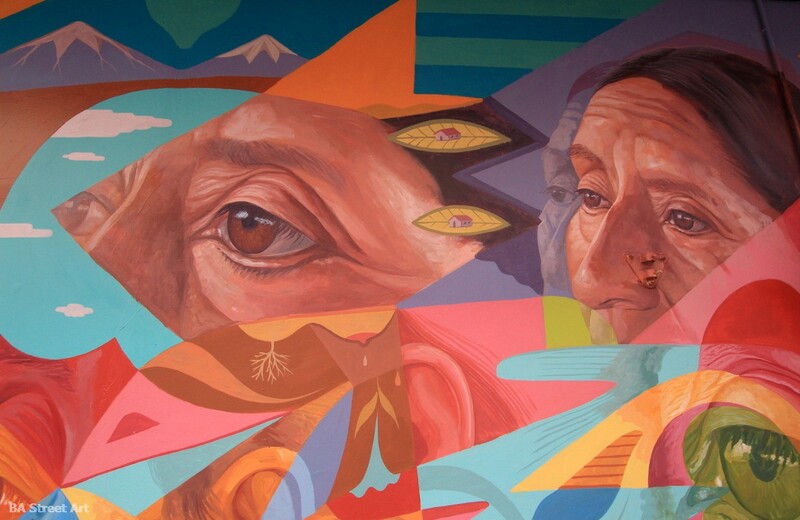 Decertor spoke with BA Street Art about the project and influences on his art. 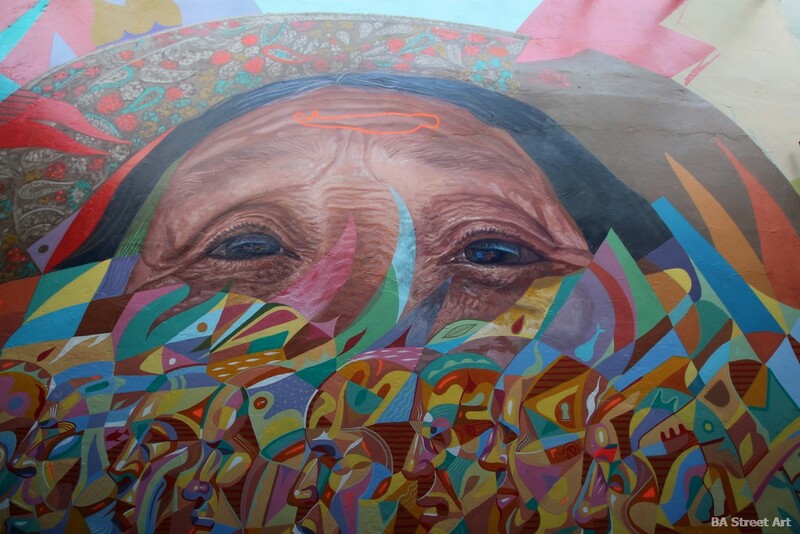 The central figure in the mural is a portrait of an indigenous woman from a community called Rumicallpa, located about half an hour from the city of Castillo de Lamas in the region of San Martín in the north of Perú. 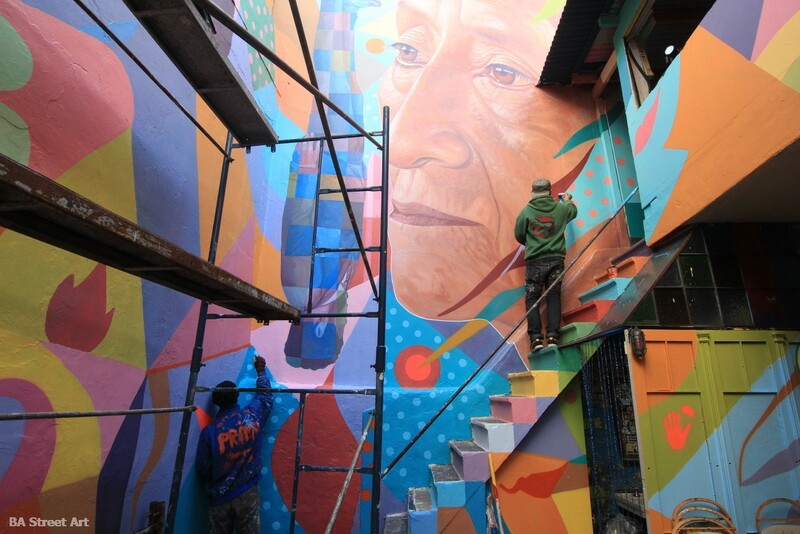 It’s a village where Decertor has painted a series of murals and has also started a street art project inviting artists to stay and paint there. 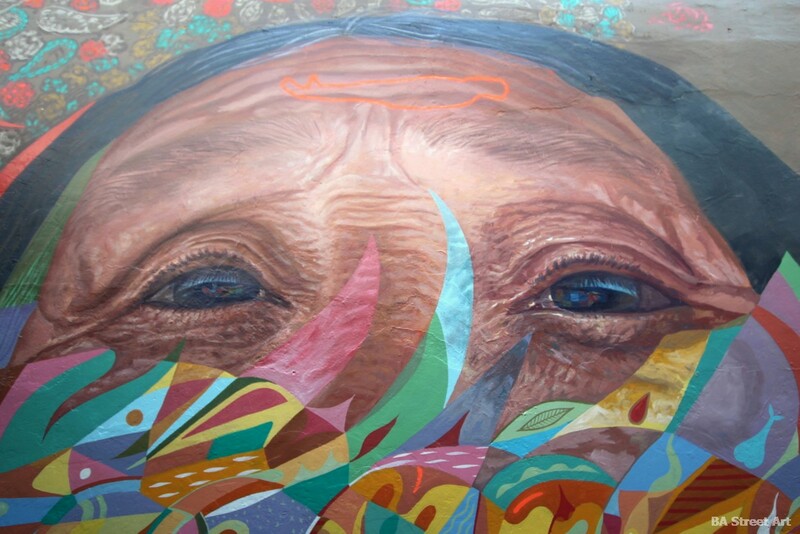 Daniel explained that many indigenous people in rural communities are under threat: “The idea is also to recognise that there are ethnic groups that all the time find their lands more reduced while mankind is falling into an abyss of consumerism forgetting about things that are of much more value.” He explained that the community Castillo de Lamas is matriarchal, with women occupying the most important role in the community in educating and passing on information about their traditions to their children and grandchildren. 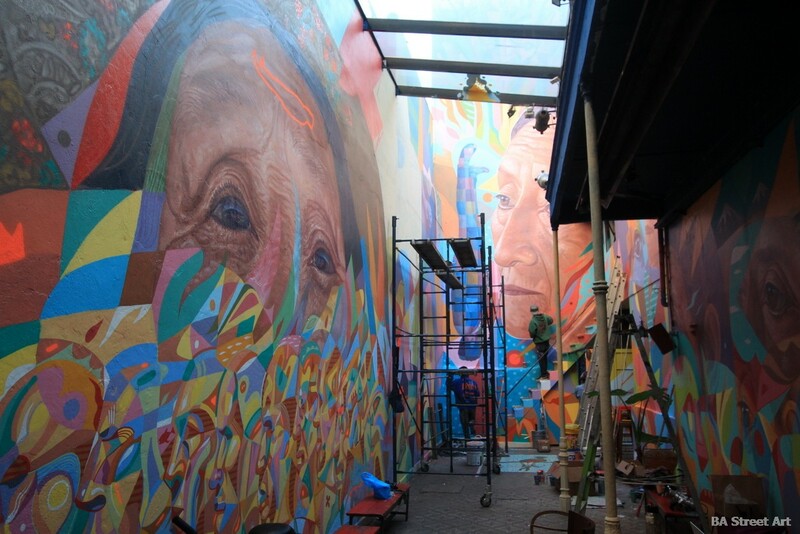 Mural at El Quetzal (Guatemala 4516, Palermo) painted by Decertor (with Sasha from Primo) and organised and curated by Mariano Viceconte. 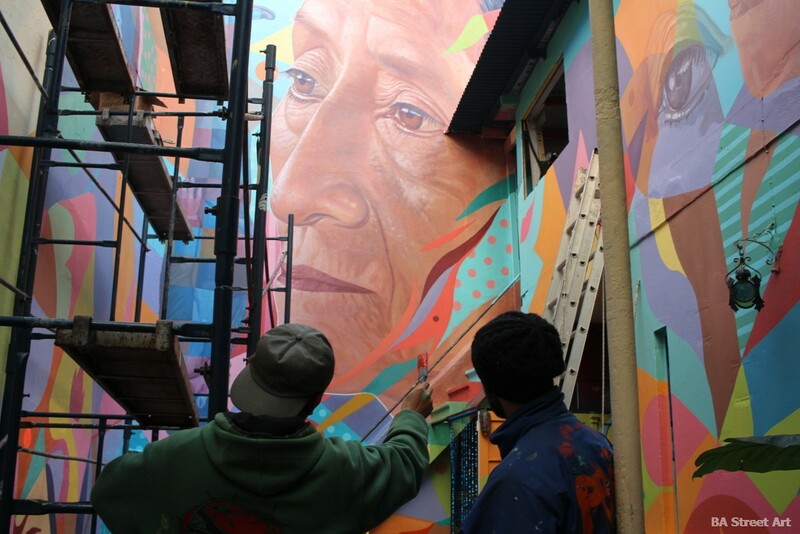 Interview and photos by Matt Fox-Tucker/BA Street Art. 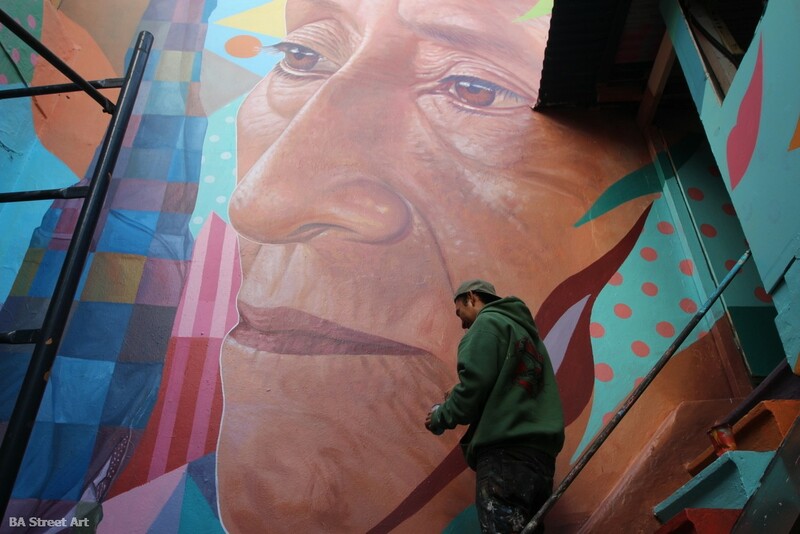 Thanks to Mariano and all the guys from El Quetzal!